They’re really not going to let it go are they? New SecDef says India will help shape the NWO. Hmmmm is the plan to turn away from China? 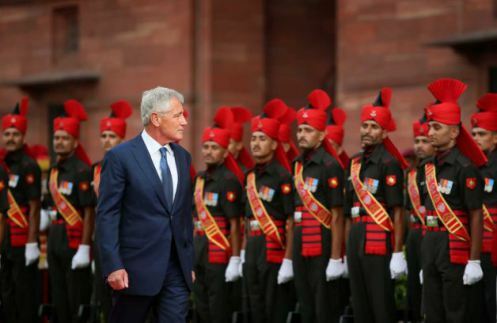 Describing India as one of the most significant countries in the world, US Defence Secretary Chuck Hagel has said the world’s largest democracy will help shape a “new world order” that is emerging in this century. “When you look at the world today, and you’re all quite familiar with this, that India not only represents one of the most significant countries by any measurement in the world today, but will help shape a new world order that is emerging in this young century,” Hagel told reporters travelling with him to India. Hagel, who landed in India on his maiden trip yesterday as Defense Secretary, is scheduled to meet his Indian counterpart Arun Jaitley and other leaders of the new Indian Government. His visit comes in less than a week after Secretary of State John Kerry and Commerce Secretary Penny Pritzeker visited New Delhi for India-US Strategic Dialogue.